DIN-rail mountable, universal mobile router – with Ethernet interface and optional RS485 port. The router has IP51 protected, roboust aluminum housing. It can be fixed to a DIN-rail or C-rail (by optional accessory). The product utilizes the open source, Linux-based OpenWrt® system, which can be easily configurable on the router web user interface. Can be used for wireless data transmission of industrial and measurement systems, for data collecting of utility smart meters and PLC connection (to a remote Scada system). Also useful to for providing a secondary/backup route (wireless network access) for your business. 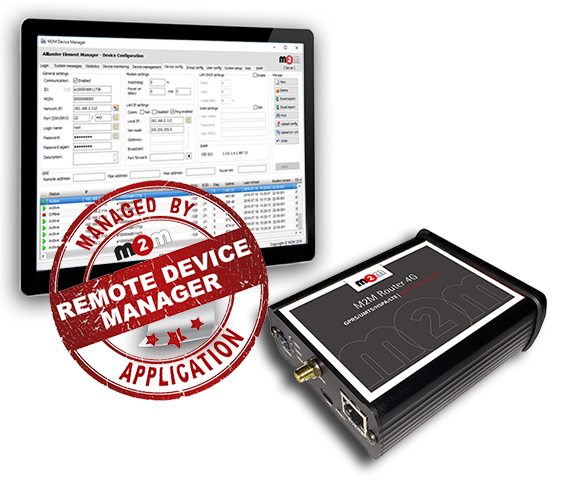 The device has full remote access, monitoring and maintenance features. We offer to manage the router by Remote Device Manager® application, which provides continuous central management, QoS monitoring, mass configuration / firmware updates by remotely. Massive industrial aluminum enclosure, fit to DIN-rail. The routers are supporting the CDMA 450, 2G, 3G, LTE 4G, LTE-M and NB (narrow-band) networks. Micro SD card connection for storing data. 3pcs of operation LEDs.